Though some people can't imagine a vacation without thinking of skiing down a snowy mountain or lounging on a tropical beach, others dream of vacations that involve the open road. River Bend Resort is a campground that caters to travelers just like you. It offers all the campsites and spaces needed for those traveling in an RV as well as those who like camping in tents. You'll find an old-fashioned general store on-site that sells firewood and other supplies, as well as some amenities that you and your kids will love. The sites available at this campground are perfect for those driving up in fifth wheels and larger recreational vehicles as well as those in pop-up campers and smaller models. These campground memberships for sale at River Bend Resort let you stay right on the water, with sites that you either back into or pull through to your spot. Double sites are also available for those traveling in groups with more than one vehicle. All sites feature a ring for your fires, hookups for both water and power, lots of green spaces and your own picnic table. If you travel with family and friends who do not like camping, they can stay at the lodge or rent one of the travel trailers or cabins. One thing you'll quickly notice after staying here is that this is more than just another campground. It has its own water park that is open every day of the week, and this park features attractions suitable for the youngest and oldest people in your group. A diner acts as a snack bar for those who want something quick to eat, and a bar and grill is on-site for those who want to sit down for a meal. The campground has a propane fill up, an activity center that offers different events during the season, a swimming pool and a bar located right next to the swimming pool. 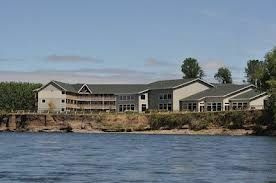 If you're in the market for campground memberships for sale and like traveling with loved ones, buying membership to the River Bend Resort is a great choice. Contact River Bend Resort Specialist Today!